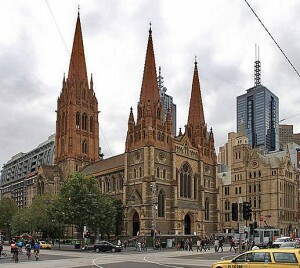 MELBOURNE, Australia (Morning Star News) – Police in Australia today arrested seven suspected Islamic terrorists after thwarting a planned bomb attack on three sites in Melbourne, including St. Paul’s Cathedral. Some 400 heavily-armed police raided homes in five of Melbourne’s northwestern suburbs. 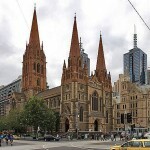 The raids reportedly culminated weeks of intensive investigations and monitoring by Victoria Police, Australian Federal Police, and the Australian Security Intelligence Organisation. Of the five suspects still in custody, four are Australian-born of Lebanese descent, while the fifth is an Egyptian-born Australian citizen. Chief Commissioner Graham Ashton described them as “self-radicalized . . . [but] inspired by ISIS [Islamic State] and ISIS propaganda,” according to The Australian. The terror plotters were reportedly preparing to attack Melbourne’s Flinders Street Station, Federation Square and St. Paul’s Cathedral using Improvised Explosive Devices and other weapons such as guns and knives, most likely on Christmas Day. Australian Federal Police Commissioner Andrew Colvin said the plot had concerned him “more than any other” over the past few years. Christmas services will continue at the cathedral as planned, albeit under heightened security. Just two days earlier, on Wednesday evening (Dec. 21), a van loaded with multiple gas canisters was driven into the headquarters of Christian religious freedom organization Australian Christian Lobby (ACL), in the heart of the Australian capital, Canberra. The driver then reportedly ignited the canisters, causing a massive explosion. A conservative Christian lobby group that lobbies for religious freedom and pro-family values, ACL has received multiple death threats during the course of the year, mostly for its reasoned defense of traditional marriage. The blast blew out the widows and ignited a fire, resulting in significant damage, according to the The Canberra Times. No one was working inside the building at the time. The driver survived the attack and was flown to Sydney for burns treatment. The police did not release the bomber’s name, saying only that he is “an Australian citizen.” Canberra police have publically asserted that the attack was not politically, religiously or ideologically motivated, which ACL Managing Director Lyle Shelton doubted. “I think something of this nature, that appears to be so deliberate, is an attack against the sort of things that we’ve been saying in the public square,” he told ABC radio. Shelton said he bore the bomber no malice and was praying for his recovery and for his family.